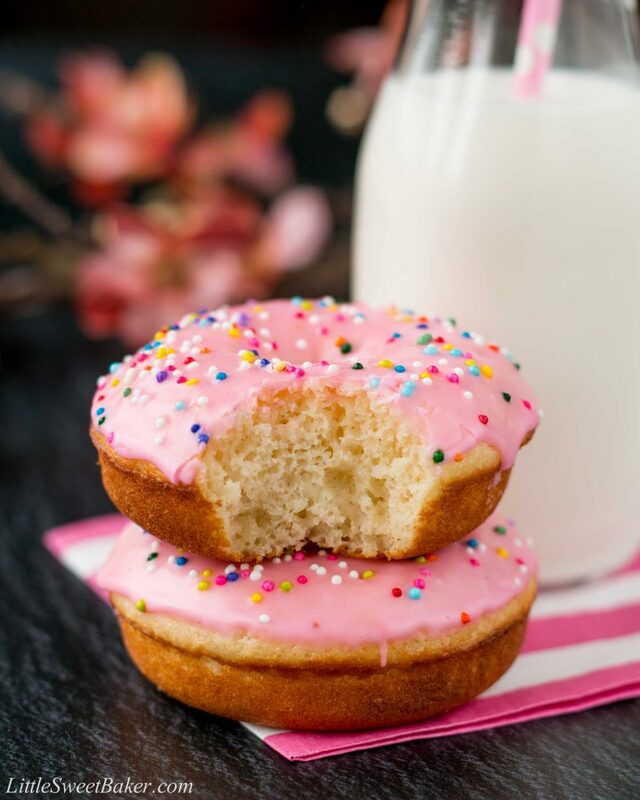 These homemade donuts are soft and fluffy with a heavenly vanilla scent. 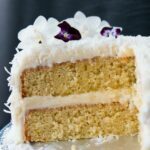 They are topped with a thick sweet vanilla glaze and are baked instead of fried, which makes them so much healthier. 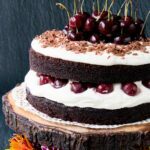 This week I’m participating in a virtual baby shower for a fellow blogger, Katherine from Love In My Oven. She is a proud momma to two boys and a soon-to-arrive baby girl!! You don’t need to know Katherine to join in the fun; just enjoy all of the pink-themed recipes that 22 amazing bloggers are bringing to the party! 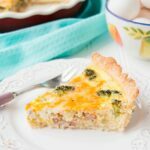 Scroll down to see what the bloggers are sharing, and click on the links to hop over to their blogs to check their recipes out. 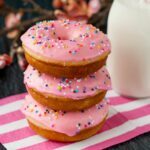 This easy homemade donut recipe from Wilton starts with your everyday basic ingredients all prepared in one bowl. Then it’s baked in a donut pan for less than 10 minutes. There are only two tablespoons of butter in the whole recipe and the fact that it’s baked not fried makes it a much healthier choice. It also means you can eat more donuts! 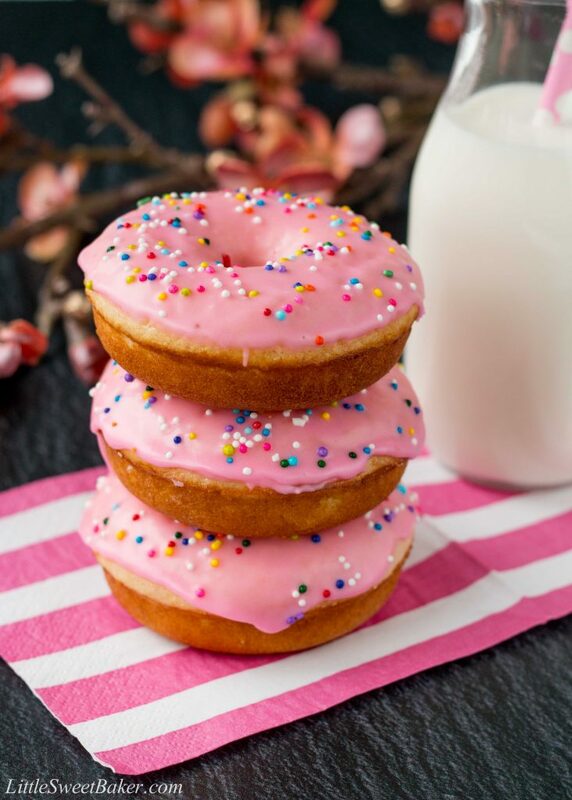 It’s topped with a festive pink glaze and colorful sprinkles to celebrate the lovely occasion. I’m so happy for Katherine and the arrival of her little princess. 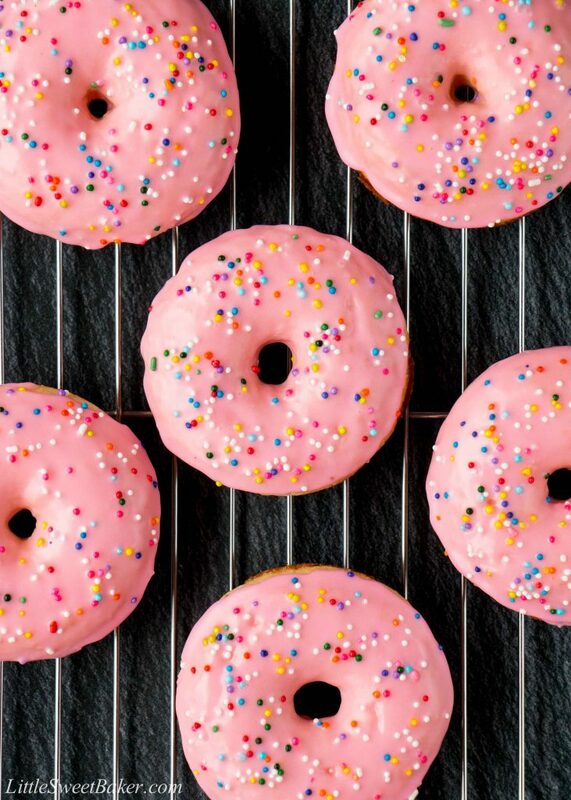 The texture of these donuts is similar to a cake and they taste like an old-fashioned donut. They are soft, moist and fragrant with an extra touch of sweetness from the glaze. They are so easy to prepare and better for you than store-bought donuts. Preheat oven to 425°F. Spray two 6-cavity doughnut pans with non-stick cooking spray. In large bowl, whisk together the flour, sugar, baking powder, nutmeg and salt. Add in the buttermilk, eggs and butter. Beat until just combined. Fill each pan cavity approximately 2/3 full. In small bowl, stir together sugar, milk and vanilla extract until sugar is completely dissolved. Add a few drops of food coloring if desired. Use immediately to glaze donuts. Top with sprinkles if desired. Donuts are best eaten the day of. Leftovers can be stored in an airtight container at room temperature for 1-2 days.